Whether you’re a blogger, influencer, boutique owner or cupcake-maker, collaborations are small-business gold. As humans, we’ve always placed heavy value on word-of-mouth when we are looking for our next purchase, and the digital age hasn’t changed that one bit. Today, while we still value the service suggestion or product endorsement from our girl-crew, we also look to the great and powerful internet for answers from our favorite bloggers. This is precisely why nailing your next sponsored post can serve your business, your audience and *fingers crossed* your wallet! Below you can find four tried-and-true, simple steps for making your next sponsored post a smash. Before you even get started it is incredibly important for you to know what your story is and who your people are. Know your voice, how you speak to your followers, what topics you cover and what you leave off the table. Early in business, a common mistake is to try and be everything to everyone. Not only is this a one-way ticket to exhaustion, but it’s also not efficient and over time it can lead to icky feelings of inauthenticity and confusion about what it is you’re actually trying to do. Spend quality time establishing a clear picture of your audience. What does their life look like? What do they like to buy? Where do they go on vacation? What makes their hearts feel on fire and what makes them cringe? Once you know this, you know exactly what kind of products they’re looking for. 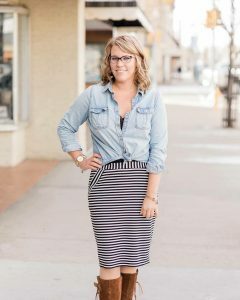 If you know your crew is young, energetic, but rocking a just-barely-outa-college budget, maybe a collab with a high-dollar boutique isn’t your jam. Ultimately, when you know your audience, you’ll know exactly what’s best for them. Pursue those collaborations. Provide them with solutions to the problems you know they’re struggling with; send them to the products that will make them really freaking smile. Our worlds are inundated with digital chatter, making it easy for us, as consumers, to throw our hands up in overwhelm when browsing for new voices. When it comes to standing out in the crowd in your sponsored posts, authenticity is key. If you’re feeling stuck, think about the elements of any good story. Develop the characters, establish the setting, detail the conflict and present the solution with much rejoicing. Think about how you can cover you’re who, what, when, where, why and how creatively. Nobody needs another copied-and-pasted description from a product’s Amazon listing. They need the story. Give them a good one, sister. I know I just told you to fill your post with detailed story elements, which I meant. And now I’m telling you to keep things simple, which sounds like a direct contradiction. To that I say: you caught me, but I mean it anyway. When I say keep it simple, I mean don’t overcomplicate things for the reader. Present the information you have in a clear and concise way by staying on message and packaging the information you have to share neatly. Make sure your hyperlinks work. Make sure you are using the correct product name. Make sure you have details on the location of a physical space, deadlines and promotion requirements. Make sure the reader’s experience is streamlined. Think about how many times you’ve abandoned a purchase, in-person or online because the check-out experience became too overwhelming. When in doubt, just keep it simple. We all pretend it’s not true, but let’s be real: looks matter. 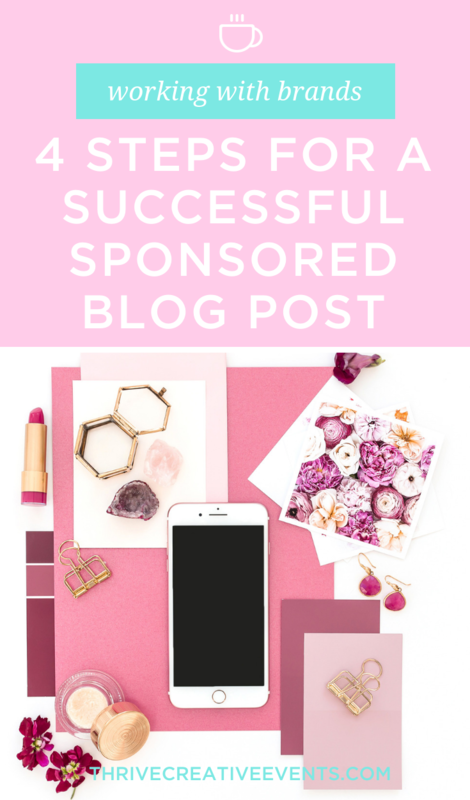 The final, and arguably the most crucial, step for crafting your successful sponsored blog post is to make it look pretty. Use your best photos, and make sure they’re formatting is solid on the final post. Design a graphic that pops to spread across your social media channels. We eat with our eyes before our forks. We pick books by their covers. We send our girl’s screenshot’s of good-looking dudes on a semi-regular basis. You worked hard on growing your audience, building your partnerships and writing this helpful and engaging post; now, put in the effort to make sure it stops folks in their tracks. What sponsored post-must-do’s have you integrated into your writing routine? I’d love to know where you’ve seen success or where you’re feeling stuck. Let’s chat in the comments below.